Your refrigerator is an integral part of your home, but lately it’s been making the weirdest noises. You remind yourself that it’s about 15 years old and you’ve had a few parts replaced already. But given that it sounds like it’s on its last legs, it might just be better to buy a new one rather than spend the money onrefrigerator appliance repair. But this refrigerator came with the house and purchasing a refrigerator isn’t as easy as it used to be what with all the new technology in today’s world. Yet you don’t have any clue what to look for and when it comes to buying one the thought makes you dizzy. But don’t worry, in part one three of the six tips are going to be shared with you to make the process easier. There is something of great importance that should be done before you buy a new refrigerator—carefully measure your old refrigerator or the space where one fits into. It’s vital that you take measurements for the length, height and width. Measure everything twice to make sure all the measurements are correct; don’t forget to measure your doorways—it’d be a disaster if you bought the fridge of your dreams only to find out the delivery guys can’t even get it into your house! Once the measuring is accurate and complete, you can decide on the size of fridge and how much storage you want. 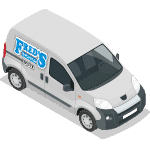 An average size refrigerator can vary between 18 and 25 cubic feet and are usually 2½ to 3 feet wide and roughly 6 feet high. So, how big is your family? Is it just you and your spouse or do you have two or three kids? If you have a big family or you and your spouse like to entertain quite a bit, then perhaps a larger refrigerator would be the best bet. But if you and your spouse don’t cook much, then maybe just an 18 cubic foot fridge would do. Believe it or not, much like your clothes, refrigerators have various styles and all of them have favorable and unfavorable characteristics. You just need to decide what’s more significant to you: convenience, price or style? Once you pick your style then you get to choose your finish and color. Top Mount: These fridges have the fridge on the bottom and the freezer section on the top, which has been the standard style for many years. Almost all models of this style permit the door to be opened from the left or right side—it all depends on what you prefer. While this refrigerator is wonderful for a small home, condo or apartment, its major undoing is its little size, usually 18 cubic feet. However, it’s ordinarily the least costly of all the styles. Bottom Mount: This style has become very popular over the years and is, basically, a reverse style of the top mount; that is, the fridge part is on the top and the freezer—normally a pull-out—is on the bottom. This type of refrigerator is great because you don’t have to bend over to reach those items you often use—they’re right there in front of you! Alas, the trouble with the pull-out freezer seems to be that new items can bury the older frozen foods. Unless, of course, you’re one of those organized people that rotates the food and uses the older food first. Side-by-Side: This style has the freezer and fridge beside each other and is also a popular style among households. Many people like that this fridge has more space with a modern look as the freezer normally uses up one-third of the space while the fridge uses up the other two-thirds. The standard con with this fridge is that some food items are hard to fit in because of the narrow shelving. French Door: This is similar to the bottom mount and the glossy look is quite attractive. The freezer pulls out at the bottom and the only real difference is that the fridge doors swing open from the center—the same as a French door! However, these doors aren’t very easy to close and are probably best for couples who don’t have kids. While a water dispenser and icemaker are terrific options, be aware that these things are simply two more items that could break later on. Auto-defrost, adjustable controls, spill-proof and movable shelves are all wonderful attributes as well, but they’re usually an extra expense. During your search, if you discover a refrigerator that you like but it doesn’t have a certain feature that you want or need, just keep searching; the features vary widely among models and brands. Somewhere across the vast refrigerator world, there’ll be a refrigerator with your name on it. 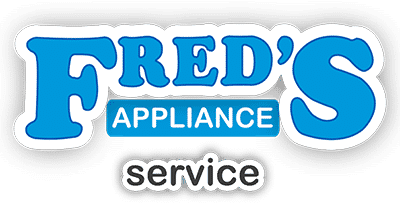 Whirlpool brands – Caloric, Maytag, Estate, Magic Chef, Inglis, Hardwick, Crosley, Glenwood, Kenmore, Amana, Admiral, Jenn-Air, Roper and KitchenAid. GE brands – Kenmore, General Electric and Hotpoint. 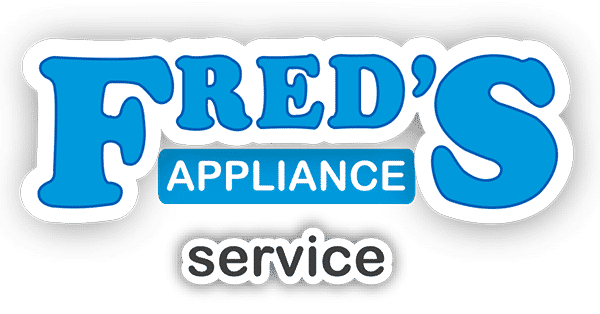 Frigidaire brands – White-Westinghouse, Tappan, Gibson, Westinghouse and Kelvinator. If you just want a fridge that will keep your items cold—and frozen—then don’t overlook the cheaper brands like Tappan, Hotpoint, Amana and Caloric. Refrigerators that have lots of features are prone to being popular and every manufacturing company develops one or several premium or high-end brands such as: KitchenAid, Electrolux, GE, Samsung, Whirlpool, LG, Frigidaire, Maytag and Thermador. If you’re having trouble deciding on a brand, take a look at the top brands for the week and read the product reviews on CNET or in Consumer Reports. Over the last 20 years, manufacturing companies have taken great strides in producing refrigerators—and other appliances—that are more “environmentally friendly” and are less expensive to use. Using less electricity is great for your wallet and, nowadays, that’s always a good thing! However, the refrigerator is still the highest costing appliance in your kitchen to maintain despite the effective enhancements. The Department of Energy and Environmental Protection Agency (EPA) came up with a category known as Energy Star in the 1990’s. A fridge with the Energy Star logo uses roughly 40% less energy than those fridges without Energy Star—that means you could save around $150 per year! So if you bought a fridge with Energy Star and keep it for 10 years, you’d save yourself about $1,500! The only drawback is that these Energy Star refrigerators are a bit pricier, but the money you save by buying one far outweighs the small added expense. Once you’ve pinned down a few brands and models that you like, it all boils down to looks and price. You’ll want to scout about different stores to examine which brand looks better to you and once you’ve figured that out, then you can begin searching for the best price. While you’re hunting for the best price, be sure to inquire that the total price contains not only delivery and installation charges, but all of your must-have features too. You should also make sure that the price includes hook-up of any items such as the icemaker or water dispenser. Likewise, it’s suggested that you confirm that an extended warranty is available and that a local appliance company will be able to make any necessary warranty repairs. Don’t forget to shop online! Many stores display their best prices on their websites and include free shipping. Now that you have the six tips to picking the best refrigerator for your family, go have fun choosing one! Your refrigerator will be in your home for many years to come and, as it gets older, it’ll need appliance repair. That’s when you should contact us! We are always here to answer any questions you have as well.